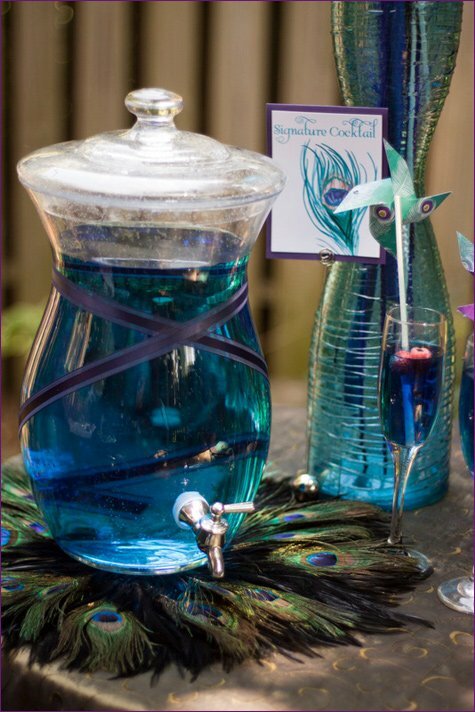 The peacock-inspired color palette has always been a personal favorite for me – especially when it comes to holiday parties (see proof here and here). So of course I was instantly smitten by this gorgeous Peacock Themed Engagement Party styled by the talented Courtney of Pizzazzerie! 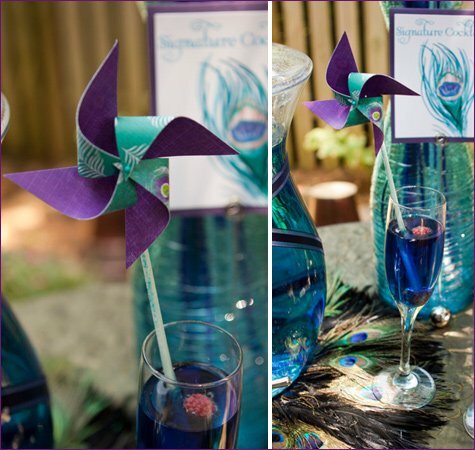 Rich jewel tones, hand-painted table signs, pinwheel drink stirrers served alongside a vibrant blue signature drink, and feathers galore… what’s not to love?! 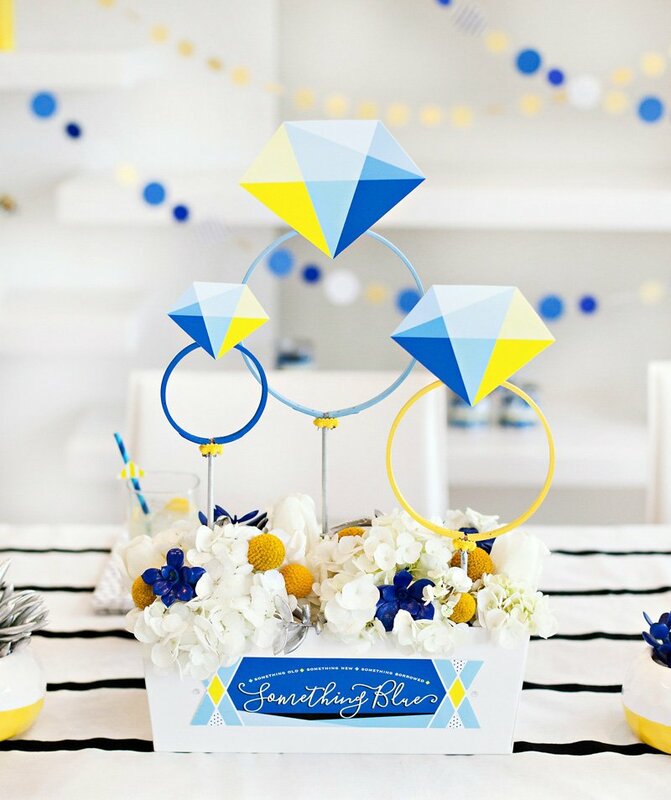 “When a friend and past coworker of mine recently got engaged, I knew I wanted to throw her a fabulous engagement party! 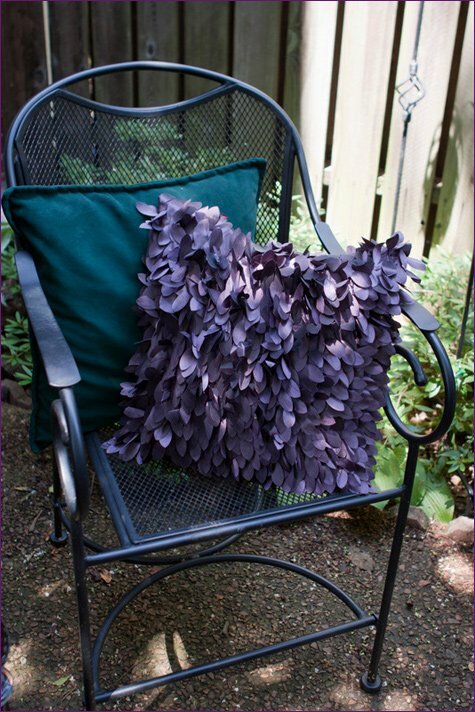 When we shared an office together, we used to daydream up fun party ideas incorporating gorgeous jewel tones so I knew her party had to have a similar feel. So… Peacock it was! I had a blast pulling the various pieces of the party together. 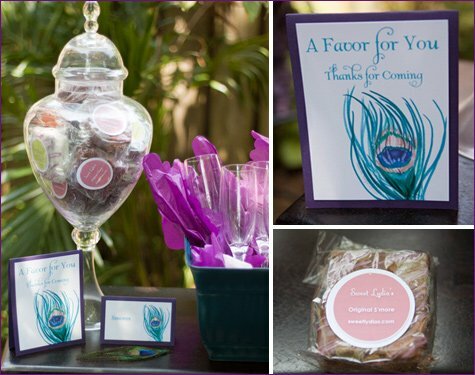 I used a variety of gorgeous jewel toned fabrics for the tablecloths. We had one large table and several high-top tables. 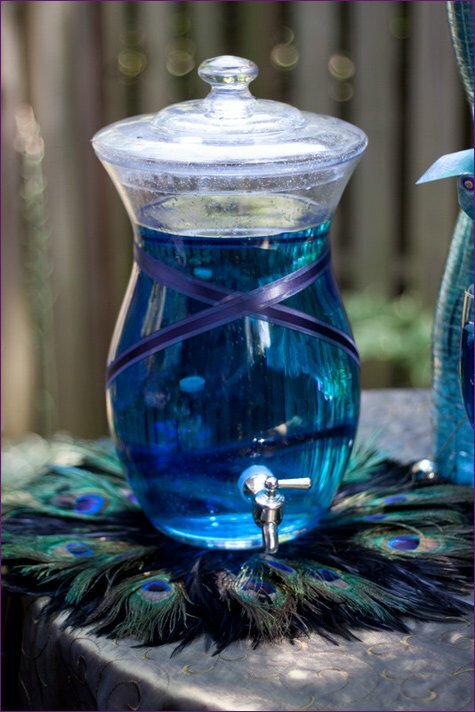 I was excited to design a dramatic centerpiece with various sizes and colors of ostrich plumes and peacock feathers displayed in a vase filled with colored water and gemstones. We served a signature cocktail of citrus blue Curacao for that bright blue color that matched the decor perfectly (and tasted delicious!). I have fallen in love with pinwheels lately so I incorporated custom-made peacock themed pinwheels as drink stirrers. 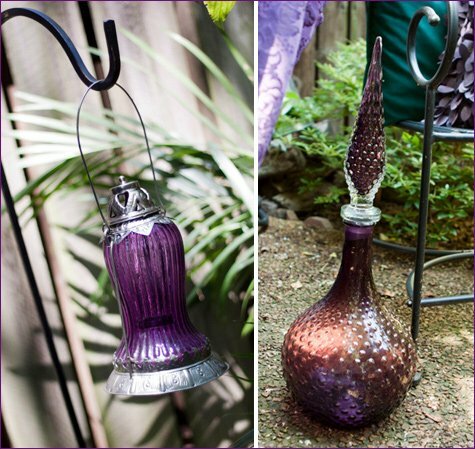 We displayed these inside a glass vase filled with floral foam. 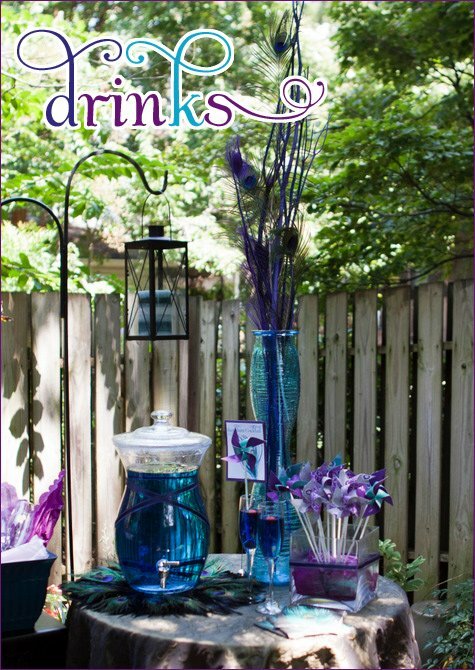 Also on the drink table was a tall blue vase filled with more peacock feathers and floral branches from the craft store that I spray painted in various shades of navy, purple, and teal. 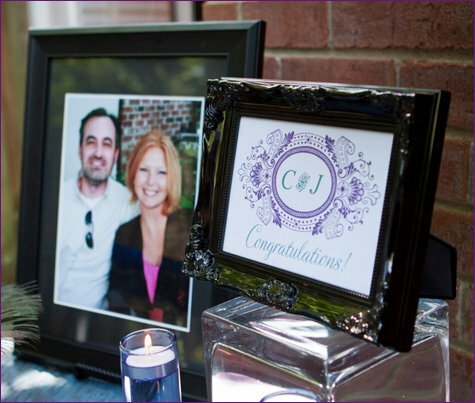 I framed a custom monogram in a fun frame on the main table alongside a large picture of the couple. 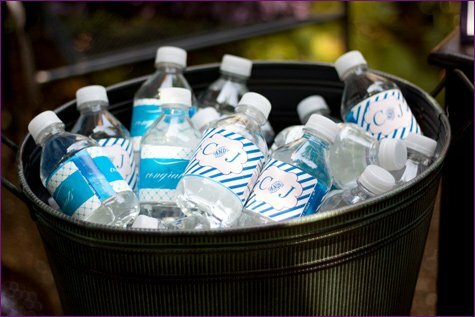 These were fun “take home” gifts for the newly engaged when the night was done! 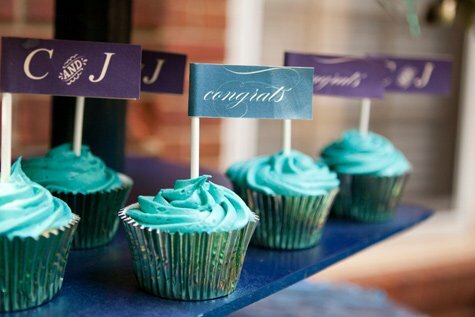 The monogram was also incorporated on the cupcake flags and water bottle labels. 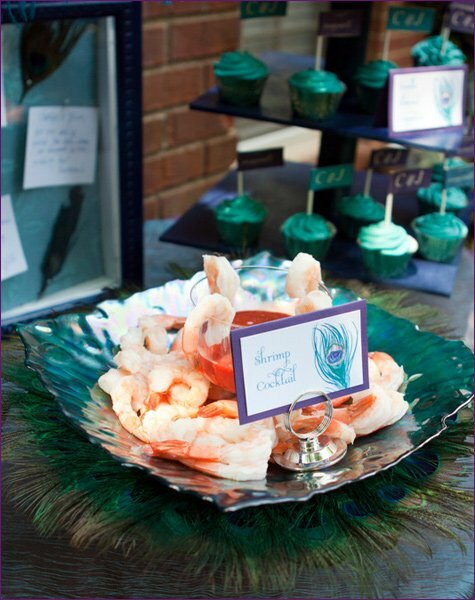 Another neat element to this party were the handpainted placecards and signs used on the tables. Michelle Mospens of My Personal Artist created the beautiful artwork and has since added an entire invitation suite in her line with this theme (and she named it “Courtney”!). A variety of hors d oeuvres were served included my favorite, caprese skewers. I have loads of fresh basil in my backyard so it was fun to use it for these tasty bites! 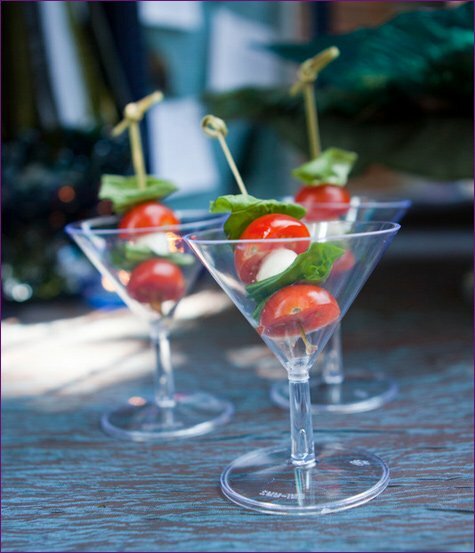 They were very simple to make and easy to serve in mini martini glasses. Chocolate raspberry kabobs were served along with vanilla almond cupcakes and sugar cookies for dessert. 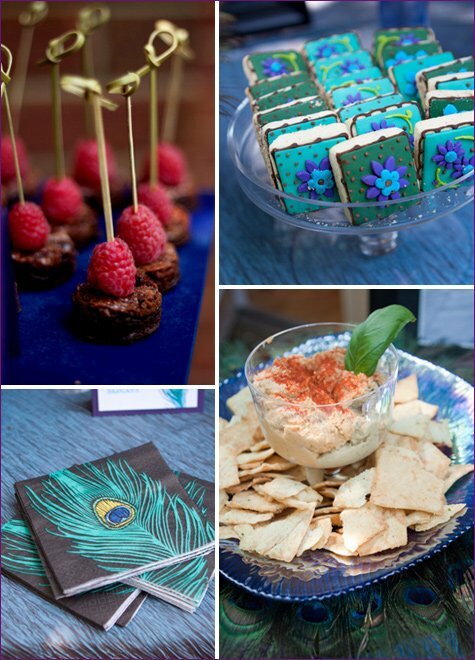 The cookies were custom designed to math the party colors – and they were delicious too! 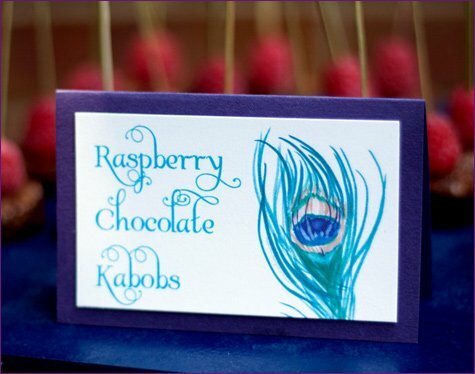 For the chocolate raspberry kabobs, we just put a brownie bite topped with a raspberry on a wooden skewer! Easy and simple as well as delicious. Homemade white chocolate, peanut butter, raspberry, and chocolate s’mores were served as party favors as guests left the party. Everyone was also asked to leave a short “word of advice” for the soon-to-be married couple. 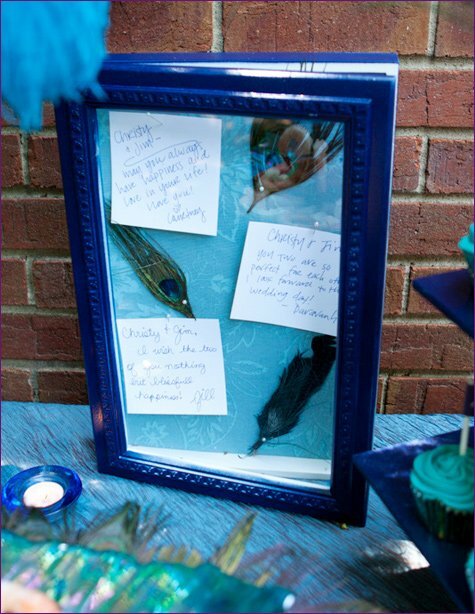 The notes were pinned inside a shadow box that I painted to match the colors of the party. It was another sweet gift to send home with the couple. Absolutely stunning! The colors are so rich and inviting!! LOVE this! And purple is my favorite color! Your vision of peacocks came together beautifully and your attention to the slightest detail divine. Well done Courtney! I am so honoured to have had a small part in this fabulous event. Truly amazing! Beautiful as always, Courtney! Congrats on the feature Courtney!! I adore the whole party! The colors are so beautiful and you have so many fabulous details! Beautiful job, Courtney! The colors are so vivid!! Gorgeous!! Love these colors together..theyre so elegant and fun at the same time! it looks beautiful. 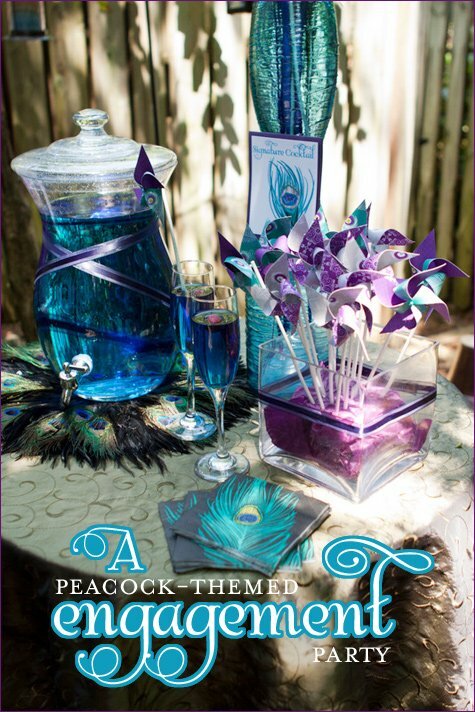 Courtney created the PERFECT peacock themed party if you ask me! HATS OFF! Courtney has an amazing eye for the most creative parties. Thank you for mentioning My Personal Artist. Love how the textures and colors all come together! Beautiful! Beautiful… I love the details. So pretty! I love the cupcakes. Gorgeous work Courtney! I absolutely LOVE the creativity, color-scheme and details, stunning! Love the colors very nice! Wonderful Courtney! Love all the little details. Great segment too! Love the feathers underneath all the serving pieces! Really makes it look rich! 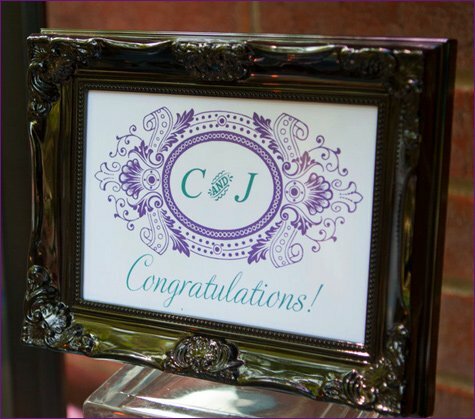 LOVE every detail Courtney! Great job!! 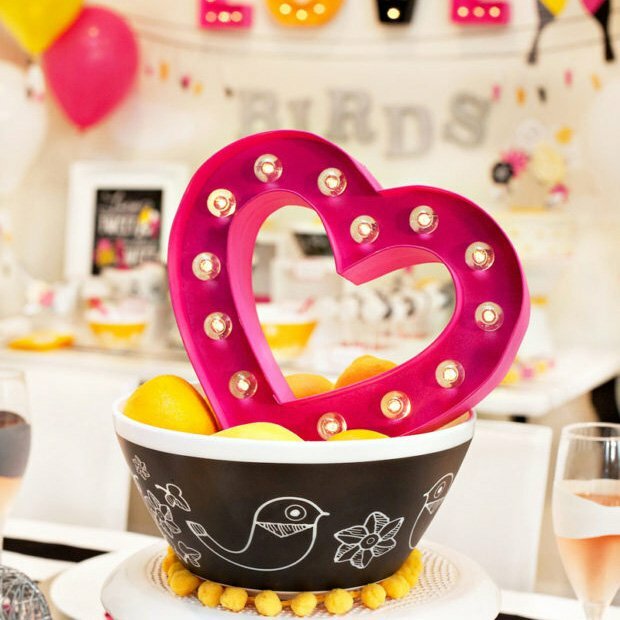 Love Love everything about this party! So fantastic! I’m planning my wedding with a lot of peacock details, this will definitely help with some of the inspiration! Great party! It all looks beautiful. Love the blue drinks! Love all the gorgeous details! Courtney did an awesome job! Those cookies are to DIE for! WOW! The colors in this party are TOP notch! Every post you write makes me want to find an excuse to throw a party. This is so original and clever! Really well done! 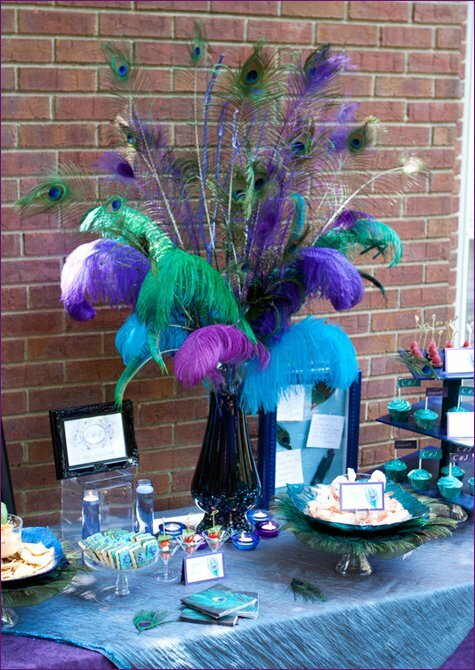 I love the peacock theme– the bold colors are so dramatic and glamorous! This is simply stunning, I just had to comment! 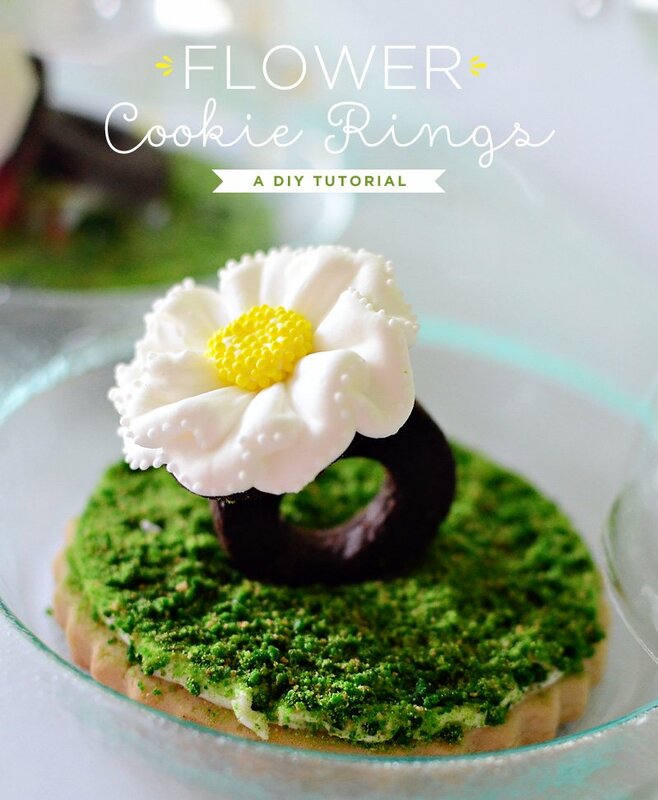 The colours, the pinwheels, the cookies – gorgeous! So stylish! My daughter LOVES this peacock theme! She wears peacock feathers in her hair alot! She wants a theme like this for her 16th birthday. Any suggestions on what the party could be called? Like for the invitations? You did a fabulous job on this party! So beautiful! Where did you get the fabric underneath the ostrich plume centerpiece on the main table? So pretty! Janea – I saw those napkins at Party City! Love the color scheme, very chic! The caprese skewers are such a fabulous idea, I am most certainly going to have to try these out. Very nice. 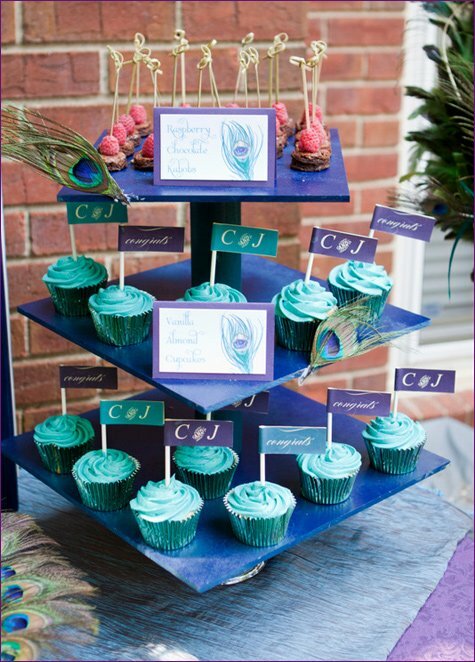 I would like to know where i can get a cupcake stand like that? Please share! Awesome….Yes I wanted it…where can i get cupcake stand like that? ……. everything looks so amazing! i was just wondering, what sizes of ostrich plumes and peacock feathers did you use? The fabric came from JoAnnes! 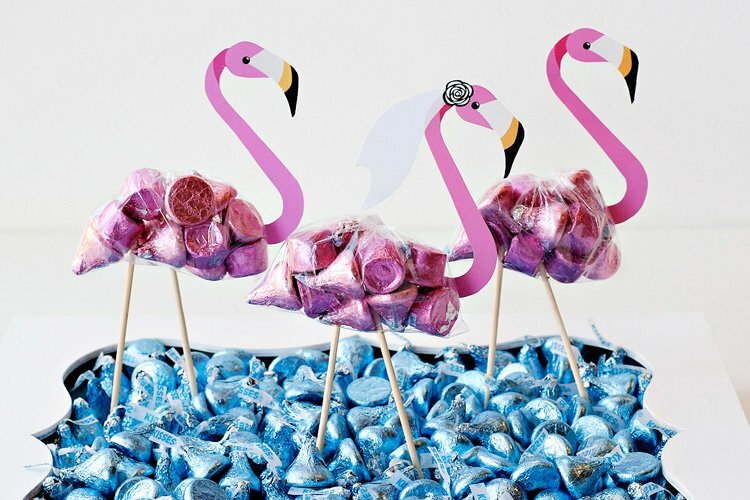 The cupcake stand – I made this out of wood and the ostrich plumes, some were 10 inches, others were 12 to 16… they are sticking down in floral foam. The peacock feathers were 22 or 24 I believe. So many ideas, this is just a fabulous post! Beautiful, there such class in using peacock feathers and colors. 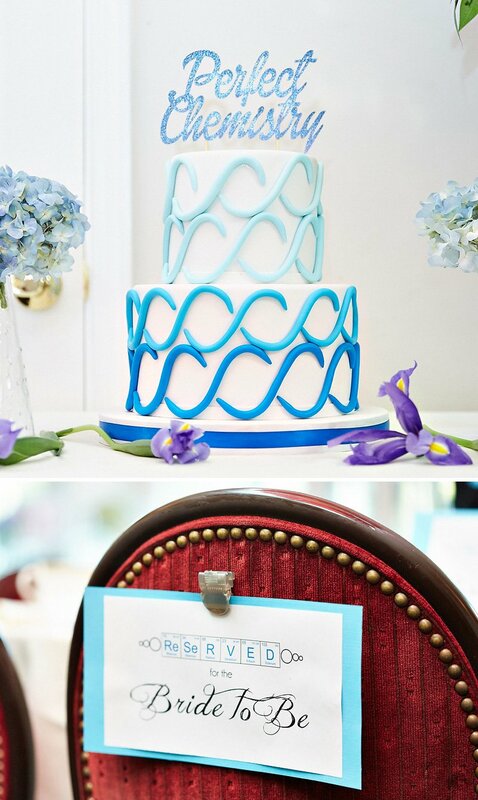 http://www.cupcaketree.com is where we ordered our stand from, it was only $12, then you can decorate it any way that you want. Oh how I love peacock feathers! Very beautiful and elegant. What a beautiful display of color! This peacock theme was put together perfectly! Hi! I love this! I am doing a lingerie shower with the same theme. Where did you get the napkins? Would you mind sharing the recipe for the Citrus Blue Curacao cocktail? i love the napkins where did you find them? Your party turned out beautiful. It has given me inspiration. Thank you. I love your toothpicks, did you make them? where can I find these peacock napkins??? My lil sister is getting married in May and she loves the peacock design, and she could not find anything peacock and I don’t know why but when I googled peacock design I feel in love with your site I would love to be a member of HWTM how do i join. Where did you find the napkins of the feathers? I am hosting a wedding shower (same theme) and LOVE those napkins! Can I get the recipe for your peacock colored drink. And is there a way to make it non-alcoholic?